Astro-Predictions: The Cause of Sridevi's Death REVEALED! Sridevi dancing like a thunderbolt in the 70’s is how we will always remember the diva, as our “Hawa Hawai girl” is no more with us. Sri Devi, an Indian actress, worked in many films with different languages. She died on 24th Feb, 2018 due to drowning in hotel bathtub according to the sources. Legendary actress Sridevi was in Dubai, UAE when she was taking her last breath. She had recently made a blasting comeback in Bollywood through her movies like English Vinglish, Mom etc. and people loved her exceptionally larger-than life and heartfelt performance. The actress died at the age of 54. It was a sudden death and nobody could have expected it. A legendary actress, she got many awards for her wonderful performances in movies such as Chandni, Nagin, Mr. India and many more. It is believed that the actress died on the last Saturday night. Some people believe that she had died because of cardiac attack whereas some people believe that she drowned in hotel bathtub due to her unconsciousness state of mind. Her death has become a series of mystery and nobody knows the truth behind her death. Maintaining full respect and condolences, here are some astrological views about her death. Let’s have a look on the birth details of actress Sridevi. According to Astrology, her lagna starts with the Cancer zodiac sign, whose lord is Moon. Sun and Venus are placed in Lagna. Sun is the Maraka Planet for her Ascendant sign. 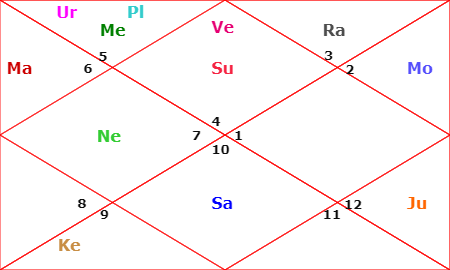 Saturn is placed in 7th house of the horoscope which is again the Maraka planet and rules over 7th and 8th houses of the horoscope. There was a Mahadasha of Saturn, which was currently running for her. In that Mahadasha, there was a Pratyantar Dasha of Sun. Both Planets Saturn and Sun, being the maraka planet for her, became the cause of her death. During the transit, Moon was in Gemini sign on 24th Feb, 2018 which was afflicted by the planet Saturn. Her lagna lord was afflicted during this transit of Moon and Saturn, which caused a reduction in longevity for her. During the transit of Jupiter in her fourth house, her career started blooming and she was getting the support from her family members as well. During transit, Maraka planet Sun was into 8th house and aspected by the transited Saturn into Sagittarius, which is again the indicator of reduction in longevity for her. The transition of Saturn is occuring over her Ketu. 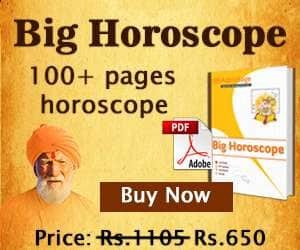 From astrological point of view, Saturn is aspecting to the fourth house of the horoscope which is somehow related to cardiac diseases or chest diseases, which can cause cardiac diseases or chest related diseases. As per astrology, there were chances of some problems related to chest or brain arising in the near future. As per her natal chart, her planets indicated stress, depression, anxiety etc in her life. She might have been facing problems related to any kind of relationships. Her Moon was aspected by the transited planet Saturn and natal chart’s planet Ketu. It is a clear indication of her unconsciousness state of mind. She was mentally stressed, that caused the unconscious state of her mind, due to which she died by drowning in the water. Hence in conclusion, there may be a high possibility of her dying due to drowning into the hotel bathtub after losing consciousness rather than cardiac attack. We will always miss Sridevi, the Diva and her performances through her roles in various movies.